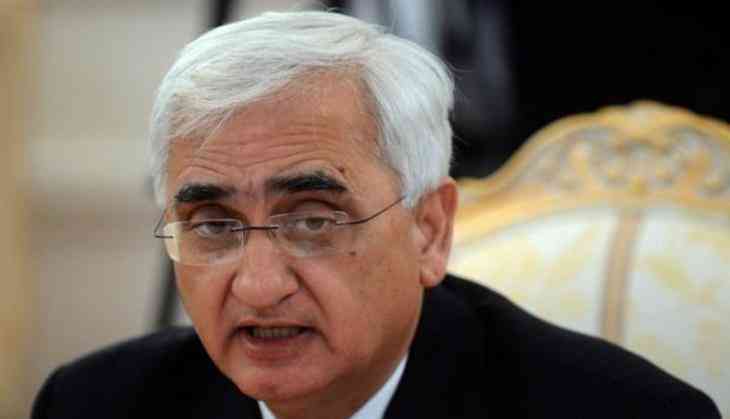 Congress leader and Amicus curiae in the triple talaq matter, Salman Khurshid, on Friday, declined to comment on the Islamic divorce practice, saying that the matter has been presented before the Supreme Court and now the decision lies with the judges. "That is up to the judges. Our work is to argue and we have done it. We have kept our point in front of the judges and now the decision lays up to them. We can't say when the court will pronounce its judgment," Khurshid told ANI. Earlier on Thursday, hinting towards the difference in his and All India Muslim Personal Law Board's (AIMPLB) opinion, Khurshid suggested that the court should harmonise different views so that becomes one acceptable view available for the courts in the country. "I have suggested that this harmonising effort has to be undertaken. The personal law board has said that the harmonising effect cannot be done by the court and should not be done by the court. They have suggested legislation. I have said that if something is a part of personal law, then neither legislation nor courts can interfere," Khurshid told the media here. Deviating from the Muslim Personal Law Board's opinion, Khurshid said one cannot contract out of faith, just like one cannot legislate out of faith. The apex court reserved its order in the case, on Thursday pertaining to validity of the Islamic divorce practice - triple talaq. The five-judge bench of the top court, headed by Chief Justice of India (CJI), Jagdish Singh Khehar and four other judges Justices Rohinton Fali Nariman, Kurian Joseph, Uday Umesh Lalit and S. Abdul Nazeer, reserved the order after hearing in great detail from all the parties - from various petitioners and respondents and the Central government for six consecutive days during the summer vacation session. The AIMPLB on Wednesday told the apex court that marriage in the Muslim community is a contract and in order to protect their interests, they can put special emphasis on certain clauses in 'nikahnama'. The board further said that a Muslim woman had every right to pronounce triple talaq in all forms, and also ask for very high 'mehr' amount in case of talaq. The board's reply came after CJI J.S. Khehar asked AIMPLB counsel Kapil Sibal if it was possible to give the bride the right to not accept instant triple talaq. The board also showed the court a resolution passed on April 14, 2017, which stated triple talaq as a sin and that the community should boycott the person doing such an act. Sibal earlier on Monday's proceedings said the apex court should not decide or interfere in one's faith and belief. To this, Justice Rohinton Fali Nariman, one of the five judges constituting the bench asked, if they should not hear the matter at all. "Yes, you should not hear," replied Sibal. Earlier, Sibal asked the top court as to how a 1400-year-old practice be branded 'unconstitutional'. "Triple talaq is going on since 1400 years, how can you say it is unconstitutional?" Sibal asked the apex court. Sibal further argued that just like the Hindus' faith about Rama's birth at Ayodhya cannot be questioned, similarly Triple Talaq which is also a matter of faith for Muslims should not be questioned. The bench also questioned the AIMPLB on the position of e-divorce given on the WhatsApp in Islam. The Centre, during the earlier hearing, assured the apex court that it would come out with a law to regulate marriage and divorce among Muslims if Triple Talaq is upheld as invalid. "The government will come out with the law to regulate marriage and divorce among Muslims if the court holds Triple Talaq as invalid," Attorney General Mukul Rohatgi told the bench. Rohatgi also conveyed to the apex court bench that triple talaq violates Muslim women's right to equality within the community, and also within the country. Earlier in the hearing, the apex court refused to hear all the three cases of Polygamy, Nikah and Halala at once, saying it would focus on one matter at a time. The Attorney General and top law officers representing the Central government arguing in front of the five-judge Constitution bench said the apex court should hear other cases also, besides triple talaq. However, the top court said that they have a limited time, so all the matters could not be covered at present. On the second day of the hearing, senior Congress leader Salman Khurshid, who is the amicus curiae in the matter, said before the Supreme Court that the controversial Islamic divorce system cannot be justified whatsoever. Citing examples, Khurshid told the court that the Triple Talaq practice cannot be validated constitutionally. "There was a discussion that whether triple talaq is valid constitutionally. Substantiating my view with reasons and examples, I asserted that it cannot be justified and cannot be given law's validation," Khurshid said during the hearing. The Centre, earlier on May 11, told the apex court that it opposed the triple talaq practice and wanted to fight for women equality and gender justice. However, AIMPLB counsel Kapil Sibal told the apex court that Triple Talaq is a matter that comes under the Muslim board and therefore, in his opinion, the top court should not interfere with it. "The Central Government makes rules but in my opinion, the apex court should not interfere with it," Sibal said. While hearing several pleas filed by Muslim women challenging the practice of triple talaq, the apex court earlier observed that it would examine whether the issue is fundamental to religion or not. Hindi Medium Movie Review : What works for Hindi Medium is its simplicity. What works against it is its simplicity. READ NEXT >> Hindi Medium Movie Review : What works for Hindi Medium is its simplicity. What works against it is its simplicity.